In Japan, properties and/or items that are gifted, donated or inherited are subject to inheritance taxes or gift taxes depending on the value of the items in question as well as the conditions of the transfer of property or item. This outlines an overview of inheritance tax and gift tax as it applies today. Do note that inheritance tax is different from gift tax. Inheritance tax is levied on items that were acquired by bequest or inheritance usually following the death of the original owner. Meanwhile, gift tax is imposed on items or properties that were donated by an individual to another person. Properties acquired through bequest or inheritance are subject to inheritance tax if the total value of the items in question is more than the basic exemption. In this case, the excess amount – also known as total taxable estate – is subject to inheritance tax. The amount of basic exemption varies depending on when the bequest or inheritance commences – that is, based on the date of death of the person bequeathing the estate. Inheritance tax is imposed only when the net estate amount is more than the basic exemption. For this, the heirs need to make a declaration of the inheritance and pay the appropriate inheritance tax. Net estate amount is the total gross estate amount after subtracting tax-exempt properties, debts and funeral expenses, and adding properties that were donated within the 3 years before the death of the person leaving the inheritance. A person who has an address in Japan at the time that he acquires a property by bequest or inheritance, and the decedent is a Japanese resident or national. An individual who inherits property but does not have an address in the country at the time of the inheritance. The person is not a Japanese citizen when he inherits and the decedent is a resident in Japan. Properties donated by an individual to another person are subject to gift tax in Japan. Note that this is different from donations made by a company. In this case, income tax and not gift tax applies. Gift tax has two taxation methods: calendar year taxation and taxation for settlement at the time of inheritance. Donated properties whose value exceed the basic exemption of 1.1 million yen are subject to gift tax. This covers the total value of all items received from January 1 to December 31 of that year. 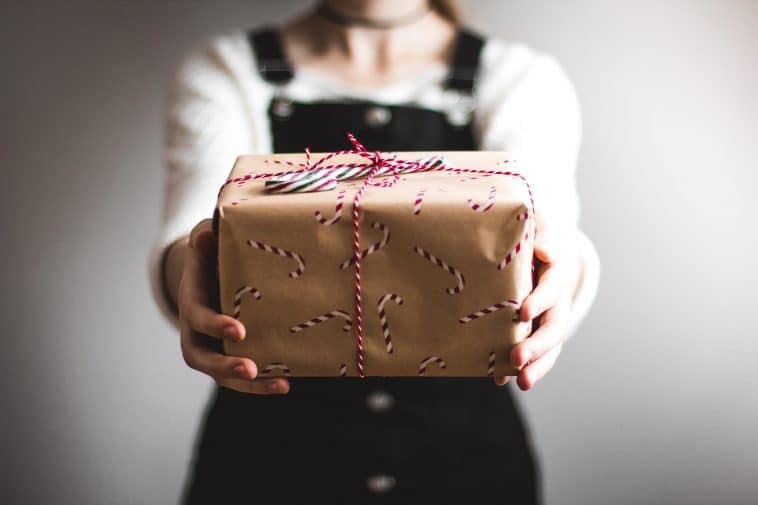 Gift tax will not be imposed if the total value of the items donated to you in a year do not exceed the basic exemption – that is, you are not required to report and file a return for gift tax in this case. In this system, the gift tax is imposed after the total value of the properties donated in a calendar year are subjected to a special deduction of 25 million yen. The taxpayer can apply for the deduction when he or she files a return for the gift tax by a particular due date prescribed by law. This system is applied when parents or grandparents aged 60 years and older donate property to their grandchildren or children who are at least 20 years old. To select this system of taxation, the taxpayer needs to file a return for gift tax between February 1 and March 15 of the following year. Once the taxpayer selects this system, it will be applied to all properties donated by the same donor from the year when it was selected. Once you select this system, you cannot change it to a calendar year taxation system. Should the donor pass away, an inheritance tax will be computed by adding the market value of the properties at the time of donation to the value of the estate. As earlier mentioned, for one to be able to select the taxation system for settlement at the time of inheritance, the donor must be parents or grandparents who are at least 60 years and the receiver is also the presumptive heir or grandchildren of the donor’s children or grandchildren. The receiver should be at least 20 years as of January 1 of the year when the property will be handed over for donation. There are no restrictions as to the type of properties or assets that can go under this system. The donor may also donate any value of a property as frequently as needed. Under this system, the inheritance tax is derived from deducting the amount of the gift tax that has been paid previously fro the amount of the inheritance tax when the donor passed away. The inheritance tax is based on the sum of the value of the properties that were donated and the value of the properties acquired by bequest or inheritance. The recipients of the property are required to submit the “Report on the Selection of the Taxation System for Settlement at the Time of Inheritance” to the Tax Office which has jurisdiction over their address. The person receiving the donation must file a return and pay the gift tax between February 1 and March 15 of the following year. It is also still necessary to file a return by these dates even when there is no tax to be paid particularly if the individual elects for the taxation system for settlement at the time of inheritance. Taxes are generally paid in cash but individuals may apply for postponement of tax payment. This allows the taxpayer to pay the amount due in installments over a set number of years. To postpone tax payment, he or she must submit the pertinent application forms and other supporting documents to the District Director of the Tax Office by a certain due date. A residential property or money that is to be used for purchasing residential property may be subject to a special provision when donated between a couple who have been married at least 20 years. This special provision includes a basic exemption of 1.1 million yen and up to 20 million yen (exemption for spouse). Upon receipt of the donation, the recipient should live in the property that was acquired by donation my March 15 of the year following the year of donation. He or she should continue to live in the said residential property. This special exemption for spouses can only be used once from the same spouse. If the actual residential property was received, the recipient should also attach the certificate of fixed asset evaluation and other similar documents. Inheritance Tax and Gift Tax are levied on properties that are handed over to heirs and recipients. It should be noted that not all properties may be subject to these taxes. If the total value of the properties received in a year does not exceed the base exemption amount, there is no need for recipients and statutory heirs to file the return for gift tax or inheritance tax. Are inherited estates located in other countries subject to inheritance tax for foreign nationals residing in Japan? Foreign nationals who have residency status in Japan are required to file a tax return and make tax payments for all inherited estates from a decedent who is a resident or used to be a resident of Japan. This includes properties that are located outside Japan. What if I do not report my overseas assets? Since the majority of legislation on the overseas assets is in Japanese, it is possible that someone did not pay the appropriate taxes due to not knowing about the changes in the legislation. If it is ruled out that non-payment happened unintentionally the presumed payer can get get lighter penal. However, if one has intentionally and knowingly not inform the authorities about the assets and did not pay the taxes such a person might be fined with 500 000 JPY or sentenced to a 1 year in prison. What is a 5-year tail rule and should I be concerned about it? In 2018, the legislation on taxes has been amended and a so-called “5-year tail” rule was canceled as of March 28, 2018. And as of April 1, 2018, it is also applicable to foreigners who permanently depart Japan but had a permanent residence address (jusho) in Japan for 10 out of the last 15 years. These residents were previously referred to as “not short-term foreigners”. However, if the former not short-term foreigner returns to Japan and re-establishes a permanent address within two years of his/her permanent departure from Japan, then any assets gifted by him/her during this period will be subject to Japan gift tax as explained by PwC. All domestic assets are taxable income. Non-resident heirs who acquire properties in Japan by inheritance or bequest are required to pay inheritance taxes. Can I appoint another person or company to handle the filing and payment of my inheritance tax on my behalf? In general, you can appoint a tax representative or agent to handle your tax returns on your behalf, particularly if you are a foreigner or based outside Japan.